According to the Federal Trade Commission, between 2012 and 2014, consumers reported more than $42 million in losses from scams involving the impersonation of family members and friends. This scam, commonly known as the "grandparent scam," is a form of financial abuse that deliberately targets older Americans. To commit this crime, fraudsters call claiming to be a family member in serious trouble and in need of money immediately. The scammer might say he's stranded or has been mugged, and call in the middle of the night to add to the urgency and confusion. Once the money is wired, the victim later finds out that it wasn't their grandchild they were helping, it was a criminal. Don't be afraid to ask questions. Fraudsters want to execute their crimes quickly. In this type of scam, they count on fear and your concern for your loved on to make you act before you think. The more questions you ask the more inclined they will be to ditch the scam if they suspect you're on to them. Never give personal information to anyone over the phone unless you initiated the call and the other part is trusted. Never rush into the financial decision and trust your instincts. Don't be fooled- if something doesn't feel right, it may not be right. Feel free to say no and get more information before you send money to someone. Scammers can be very convincing. If something seems unusual, check it out. Never "pay to play." A legitimate sweepstakes will not ask for money upfront. You cannot win a sweepstakes or lottery that you did not enter. Be suspicious of any pressure to send funds via wire transfer or a pre-paid reloadable card. Pay attention to warnings from your financial institution that a request sounds like a scam. Your banker may have encountered similar situations in the past. Scammers often claim an emergency, hoping you will take quick action without checking out the situation. Before offering help to a grandchild (or another relative or friend), be sure to telephone your grandchild or the parents at the number you know to be valid to find out if the request is legitimate. If a caller claims to be from an established organization such as a hospital or law enforcement agency, look up the number of the organization independently before taking action. Consider it a red flag if the caller insists on secrecy. Never allow anyone to isolate or discourage you from seeking information, verification, support and counsel from family members, friends or trusted advisors prior to making any financial transaction. The messages may appear to be from organizations you do business with, such as your financial institution. They may threaten to close your account or take other action if you don't respond. The senders are "phishing" for your private account information so they can use it to commit fraud or identity theft against you. Take precautions with your personal computer (PC) to reduce your risk of a computer/Internet attack. Use trusted security software and make sure it's updated frequently. What should you do if you or someone you know becomes a victim of financial exploitation or another form of elder abuse? In most cases, you would contact Adult Protective Services, gererally a part of your county or state department of social services. You can find contact information at www.eldercare.gov, a public service provided by the U.S. Administration on Aging, or by calling 1-800-677-1116. If you have any questions or concerns, you can always reach out to us, we are here for you! For many Americans, spring is a time to clean, sort and tidy up around the house. As consumers dust off their shelves and rid their homes of clutter, the American Bankers Association encourages them to organize their finances. "The arrival of spring motivates people to renew their surroundings, and what better way to focus that momentum than to check off everything on your financial to-do list?" asked Corey Carlisle, executive director of the ABA Foundation. "Taking stock of your finances and planting the seeds of new saving habits today will go a long way toward alleviating pressures on your pocket throughout the year." Evaluate and pay down	debt. Take a look at how much you owe and what you are paying in interest. If there are better rates available now, consider requesting a lower credit card interest rate or refinancing your mortgage. Begin paying off existing debt, whether that's by chipping away at loans with the highest interest rates or eliminating smaller debt first. Review your budget. A lot can change in a year. If you've been promoted, had a child, or become a new homewoner or renter, be sure to update your budget. Determine what expenses demand the most money and identify areas where you can realistically cut back. Develop a strategy for spending and saving and stick to it. Sign up for e-statements, paperless billing and text alerts. Converting to paperless billing will help keep your house-physical and financial-more clean and organized, and will help protect you from fraud. Set up automatic bill pay. By signing up for automatic bill pay, you'll never have to worry about a missed payment impacting your credit score. You can set it so that money is withdrawn from your checking account on the same day each month. Are you tired of the uncomfortable feeling of swiping the credit card for those holiday purchases? Are you concerned because you overspent your holiday budget? Frustrated by having to pay a high interest rate on the credit card balance from your holiday spending? Want to earn 3.33% APY* on a deposit account? If so, we have the solution! When you open a Christmas Club account, we set up an automatic transfer of up to $300 per month from your ASB checking account to your Christmas Club savings. This savings will accumulate and earn an interest rate of 3.33% APY*. On November 15th of each year, we automatically transfer the amount saved in your Christmas Club savings into your checking account for you to use for holiday shopping. It’s that simple! Also, consider using the Christmas Club savings as a way to save and plan for your winter vacation. Whatever you’re saving for, Christmas Club savings is a great way to change your spending pattern from charging it and paying a high rate of interest, to saving it, and earning at a rate above the market. What are you waiting for? With only 344 days until Christmas, now is the time to open your Christmas Club account and make this year’s holiday shopping season your best ever! If you have any questions or need additional information, contact a New Accounts Representative today at 320-274-8216. A donor's primary motivation may be altruism, but everyone knows there are great tax benefits for those who give. A donation to qualified organization may entitle you to a charitable contribution deduction. 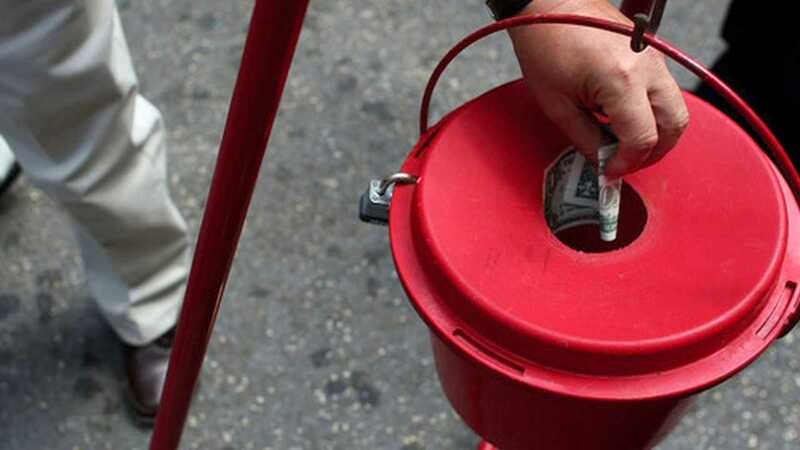 Remember a contribution to a qualified charity is deductible only in the year in which it is paid, and all charities do not qualify for a charitable contribution deduction. Always ask for a receipt and save them for tax time. Shop for bargains once you have an idea of what you're looking for, and for whom you are buying. In addition, if you are purchasing a number of items for the same online retailer, buying all the items together can cut down on shipping costs. Curb impulse shopping and spending- buy only what is on your list. If you've forgotten someone add them to your holiday budget and, if necessary, adjust the amounts you spend on others so you keep the same total. We'd like to help simplify your life, and here's how. You currently receive a payment notice in the mail each month for your mortgage. 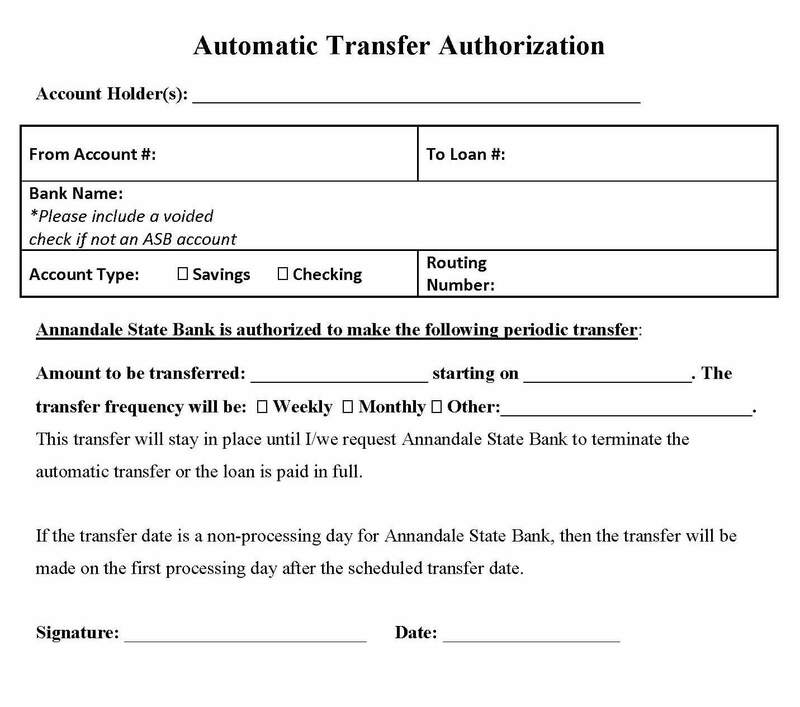 We can help you save time and money by setting up an automatic transfer to make your monthly payment. It's as easy as 1, 2, 3! 1. Fill out the information on the form below. 2. Drop the form off or send it in. 3. Your payment will show on your online statement or mailed statement. This is optional, so if you do nothing you will continue to receive your payment notice monthly. If you have any questions, please contact our Loan Department at 320-274-8216 and ask for Megan Kiffmeyer or email her at mkiffmeyer@annabank.com. Your financial security and ease of mind is a top priority for us. 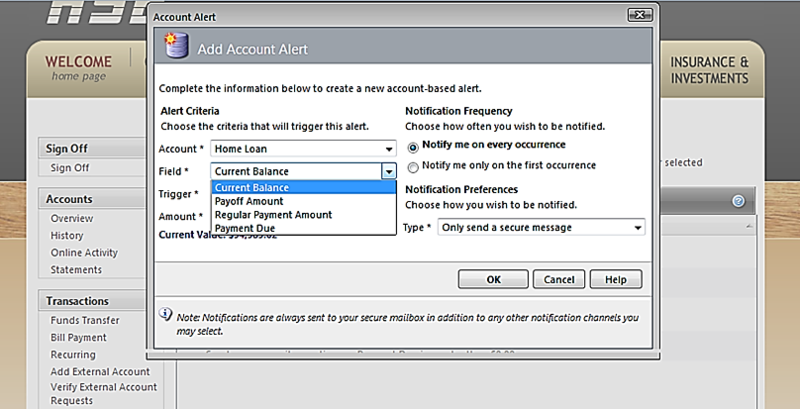 To help you stay informed and on top of your account activity, we have implemented an alert feature that does just that. For example, you can be alerted to checking or savings balances going above or below a target amount, a loan payment due date, your HELOC current balance and much more. You can receive an alert via text, email, a secure message or a phone call. Setup is quick and easy. Just follow the steps below to begin receiving alerts. 2. Select the "New Account Alert..." option from the "Add Alert" dropdown. Spring into the Home Improvement Season! Spring is officially upon us! It's the time of year all Minnesotans wait for. The snow has melted, we're seeing green grass peeking through the brown, and the trees are beginning to bud. Along with that, we're also starting to notice that maybe the shingles on the house need to be replaced, all the mud in the driveway would look so much better covered with concrete, and that some of the trees in the yard didn't fare so well over the past few months. Ugh! Now is the prime time of the year for tackling those updates and improvements you've been thinking about all winter long, and Annandale State Bank can help you make those changes by offering a wide variety of loan products to fit most anyone's need. A Home Equity Line of Credit, or HELOC, is a very popular option that allows you to utilize the equity in your home and have a revolving line of credit at your disposal. These loans have minimal closing costs, competitive interest rates and the flexibility to use the funds as you need them. Doing a refinance of your existing mortgage and taking cash out is another geat way to have access to additional funds as well as possibly lowering your interest rate with a fixed or adjustable term. If you've just had enough with improving your property and are looking to start fresh, maybe purchasing or constructing a new home is what's best for you. We offer 15, 20 or 30 year fixed rate loans and with rates still being at historic lows, there's no better time. The national average for a 30 year fixed rate mortgage for the beginning of April was 3.70%; down .71% from last year at the same time (Freddie Mac publication dated 4/2/15). 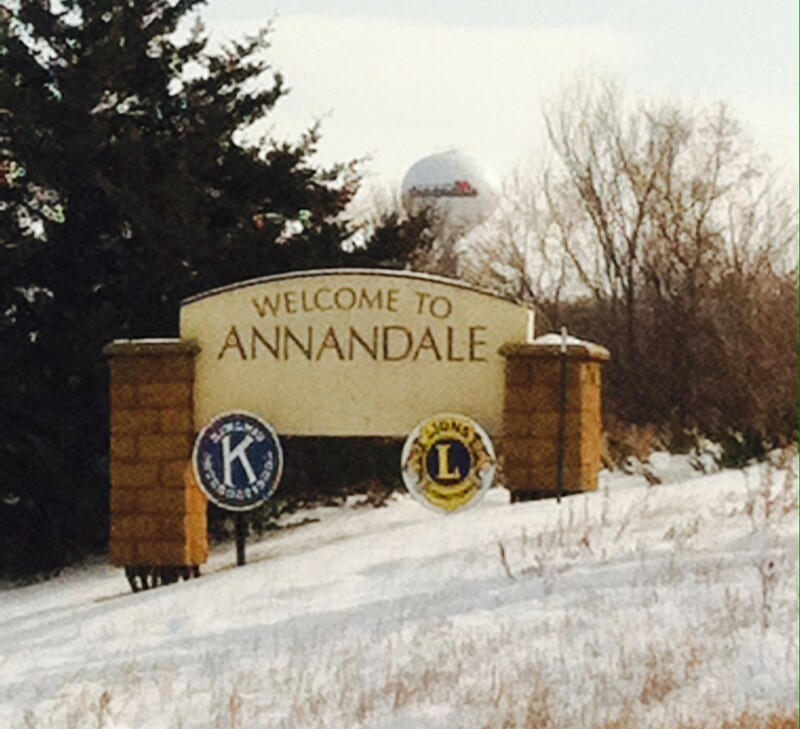 Annandale State Bank is proud to be able to offer our community products as diverse as its members. Whether it's home improvements, refinancing, purchasing or building, one of our knowledgeable lenders will help you choose the best product for you and your situation. Happy Spring! If you have any questions or need additional information, please contact one our loan officers today. One in seven Americans has been victims of debit or ATM card fraud. Unfortunately, there'll always be someone trying to illegally obtain your personal information. The good news is you can take some easy steps to protect yourselves from debit card fraud. 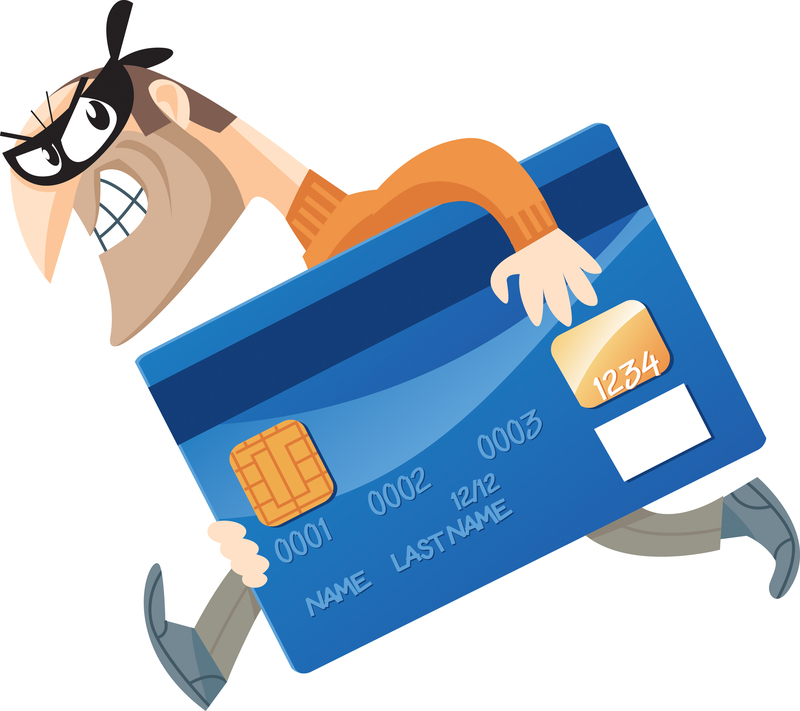 Let's start with defining some of the common ways criminals collect card debit information. Phishing: this is an email scam where criminals present themselves as legitimate businesses such as financial institutions or retailers in an effort to trick you into providing your personal data and account information. They try to convince you there's an immediate need to update your financial or personal information. Skimming and Cameras: criminals use a skimmer, which is a card reader placed over the ATM's point-of-sale (POS) terminal, or card slot, to obtain data from the magnetic strip on your debit card. Sometimes a camera is positioned so criminals can see the numbers you enter as your PIN. Most skimming occurs on ATMs and gas pumps because they're easily tampered with and accessible. Online Shopping: criminals can easily create websites that look legitimate or even copy the look and feel of the real website. These sites capture your card and personal information for criminals to use as they please. Smishing: is always initiated over the phone. Criminals will call and attempt to get your financial and personal information. For example, someone calls with an irresistible offer, once you provide your debit card and personal information the call is disconnected. You can avoid debit card fraud by using common sense and taking a couple extra minutes to double check a few things. Don't open unsolicited emails, click on links included in the email or provide personal information to the sender. Pay attention to the card reader. Don't swipe your card if it looks damaged or if the ATM looks dirty and in disrepair. If your card gets stuck in the machine, call your financial institution immediately. Shield the keypad with your hand as you enter your PIN. The payment page of a website is secure if the URL starts with "HTTPS" and has a picture of a lock. Shop online from well-known and trusted sites. If an item or offer seems too good to be true, it probably is. Check your monthly statements and make sure there are no unusual charges. 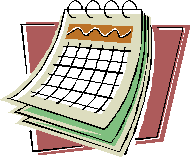 Let your financial institution and card issuers know your travel dates and destinations. Sign up for banking alerts through your financial institution for warnings on irregular card activity. Remember, legitimate companies don't call to ask for personal information over the phone. Write down the phone number from the back of your debit card and keep it in a safe place so you can call if you suspect fraud. Usually when you open a checking account at your local bank, the New Accounts Rep will ask, "Would you like a debit or ATM card attached to your account?" At this moment, you need to ask, "What's the difference between the two?" 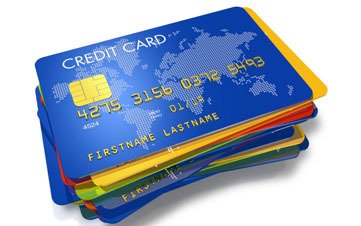 A debit card is a more convenient way of spending money than simply carrying cash around at all times. You put your money into a checking account, and you can swipe your debit card to deduct money from that account to pay for your purchases. You can't spend more than you have, and you won't build your credit score, but it's a great way to simply spend your money without having to worry about going into debt or losing your money. You can use the card online, in-store and at the pump. And, with a debit card and personal identification number (PIN), you can use an Automated Teller Machine (ATM) to withdraw cash, make deposits, or transfer funds between accounts. In today's cashless society, you pretty much need a debit card or online money transfer account. Just try buying something on Amazon without PayPal or some form of plastic. Most people use their debit card daily, but if you're one of those people who prefers to use paper checks, cash or a major credit card, a debit card might not be your best choice. When it comes to a debit card, if you use it less than 3 times a month, there is usually a small fee that will show up on your monthly statement. More and more of our customers are turning to a debit card for ease of use, security and tracking their spending. An ATM Card, is a card issued by a financial institution that enables a customer to access an automated teller machine (ATM) in order to perform transactions such as cash withdrawals, transfers, obtaining account information, etc. Interbank networks allow the use of ATM cards at ATMs of financial institutions other than those of the institution that issued the cards. Fees may vary depending on the type of account you have and the ATM you use. As you can see, we offer both types of cards to best fit your personal needs and preferences. You can certainly utilize both types of cards, we just wanted to remind you and help you understand how to best use them. As we prepare to flip the calendar page to another year, we want to take a moment to reflect on our first year dipping a toe into social media waters here at Annandale State Bank, Lake Central Insurance Services, and Lake Central Investments. In 2014 we launched our Facebook pages, Twitter and Instagram accounts, and wrote 18 blogs to help inform you of banking, investment & insurance topics. Based on comments and feedback, we found that our social media reach is much more than just local. The blogs explained how to save for Christmas or buy life, health and long-term care insurance. We peeked behind the curtain in the investment and mortgage worlds. We implored people to shop local when purchasing items for their daily lives. We gave away some great prizes to contest winners, and we even had a little fun! More importantly, we found out that our small town communities are full of good people who rise up to any challenge for the greater good of people and community. We confirmed that these people are friendly to their neighbors and welcome visitors to our communities with open arms. We have always known this local pride, but we want to say it again, "We are proud to be part of the small town community!" Some old marketing tag lines still fit our business model best. "Big enough to serve you, small enough to know you," and "Stability of deep roots, flexibility of new growth." With technology changing our lives almost daily, the world is becoming a smaller place. That being said, we are proud to say we live, work and play in a small town. Keep up the good work people, and 2015 just may be the best year ever. We at Annandale State Bank, Lake Central Insurance Services and Lake Central Investments wish everyone a blessed, healthy and safe 2015. Happy New Year! No Offense to the Lizard, Jake, Mayhem, Flo or the General...but your insurance needs are much more than a commodity. You would not ask your computer to diagnose your health ailment, so why would you trust a website to provide the best options for your insurance needs? There are so many TV and radio ads overwhelming our senses that it can be confsing as to whose best interests are at stake. Some insurance companies want you to believe that the only thing you should consider is cost. While we agree cost should play a factor into what insurance company you place your trust and assets with for protection, insurance is much more than just paying a premium. How did this all start? 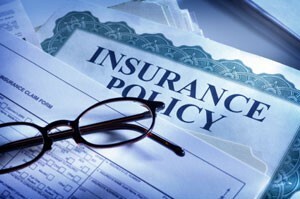 Insurance was first sold online in 1997. Today, there is a non-stop media onslaught promoting "Cheap and Fast" insurance that has created a huge misconception that has changed people's minds. "15 minutes can save"...you know the rest! Do you buy an off-brand bag of potato chips for less than $2.00 and spend your money buying the name-brand dip to help make the bad chips taste better? Insurance is all about the transfer of risk. Buying bad insurance (chips) because of the price does not make the claim (dip) taste better. Many people want to spend less on insurance, or have less coverage. This works just fine until they have a claim. Then, they wish they had spent more to have better coverage, because now it personally affects them. So how do we address the issue? We, at Lake Central Insurance Services, do our best to find you the best price available from the more than 20 companies we represent. But, we also know the value of insurance that is not based solely on the price. We define what that value is and explain why we feel cheaper is not always better. We are in the relationship business, and you are putting your trust in our services. Therefore, we owe it to you to make sure your unique insurance needs are met, so, in the event of a loss, you can be made whole again by the credible insurance company. We strive to make sure our clients have proper coverage at an affordable price, their service needs are met, and the insurance carrier will respectfully and dutifully respond to a claim. Insurance is about loyalty, teamwork and community relationships. It's about stability, consistency and finding the right coverage at the best price. At Lake Central Insurance Services, we want to find what's right for you! From historical sights to special events, many attractions can draw people to Main Street. But, local businesses are really what make a business district unique. We all know that keeping more dollars in town is the best way to help a community prosper. The "Shop Local" movement has been a big help, causing people to stop and think about ways they can spend their money locally. 10. Local stores are more likely to carry locally produced foods which support local agriculture. 9. Local business owners contribute to more local fundraising. 8. Local businesses provide a majority of jobs. 7. Local businesses support other local businesses. 6. The business community becomes reflective of my community's unique culture. 5. The sales taxes I pay support my community and county: fixing our roads, maintaining our recreational facilities, etc. 4. Competition and diversity result in fair prices and more choices. 3. Shopping locally reduces my carbon footprint. 2. Local business owners invest in the community and have a vested interest in the future of my community. 1. My hometown is important to me. In short, buy local, support yourself and embrace what makes our community different. 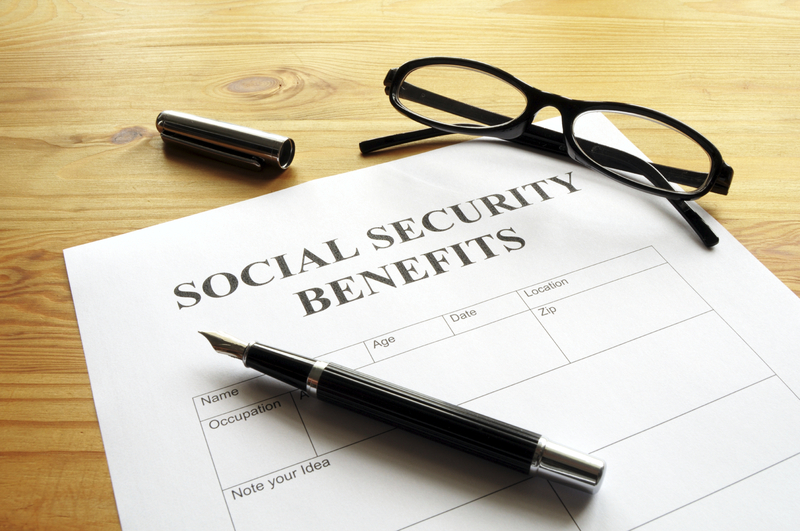 Is Social Security needed to fill an income gap? What’s your life expectancy and break-even age? Are you planning with a spouse? Married couples have a number of options for maximizing benefits. 100% of the retirement benefit you personally earned through working. The maximum spousal benefit of 50%. The maximum divorced spouse benefit of 50%. Calling all Justice League members, time to report for duty. The evil Medicare Open Enrollment season is upon us and we must unite to fend off this villain that appears every year from October 15th through December 7th. To the few people who like wading through the quicksand of information known as Medicare supplements and Part D plans each fall, we welcome you as an honorary member of the Justice League. The majority of people calling for help to better understand the changes for 2015 Medicare plans and prescription drug coverage, can send the bat signal high in the sky and our superhero insurance agents will come to render aid and assistance. 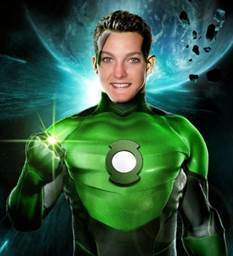 Being a Medicare certified superhero insurance agent takes hours of training. We practice being faster than a speeding bullet, jumping over tall buildings in a single bound, climbing buildings using grappling hooks and also deflecting bullets with cool, gold wrist-bands. We understand how Medicare works and what supplement health insurance plan can best fit your hea lth needs and budget. Besides fighting off evil villains, we take pride in understanding the Medicare quicksand, can throw you a rope to pull you out of the quagmire and safely into the protection of our super hero powers. 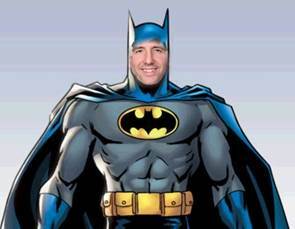 Allow Lake Central Insurance Services to come to your rescue during Open Enrollment. You can call us on the bat phone (if Commissioner Gordon is not on the line) and we will slide down the bat pole to help. Our bat cave offices are located in Annandale, Maple Lake and Clearwater and we may even show you our cool spinning car thing, too. Keep a watchful eye out for Wonder Woman’s invisible jet or the Bat Mobile. If you want to speak with us outside of the office, we hope you don’t mind if we run off to the nearest telephone booth so we can change into our superhero insurance agent uniform. For directions to our secret lair, go to www.mylakecentral.com and get more information. 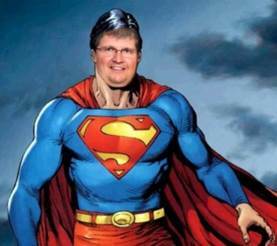 Do not let time be your Kryptonite, call us today before the December 7th deadline! Lake Central Insurance Services coming to the rescue. We all know about the recent security breaches at a few “big box” retailers & what a mess it caused. Unfortunately credit card fraud takes place every day! It may not make the local or national news, but these things are out there & every one of us is a potential victim. Although incidence of credit card fraud is limited to about 0.1% of all card transactions, this has resulted in huge financial losses. In 1999, out of 12 billion transactions made annually, approximately 10 million (or 1 out of every 1200) transactions turned out fraudulent. Even with tremendous volume & value increases in credit card transactions since then, these proportions have stayed the same due largely to fraud detection & prevention. Even with today’s technology systems in place to protect you, fraud still results in billions of dollars annually in losses. You can’t always prevent it from happening, but you can create ways to make it tougher for someone to get a hold of your information. 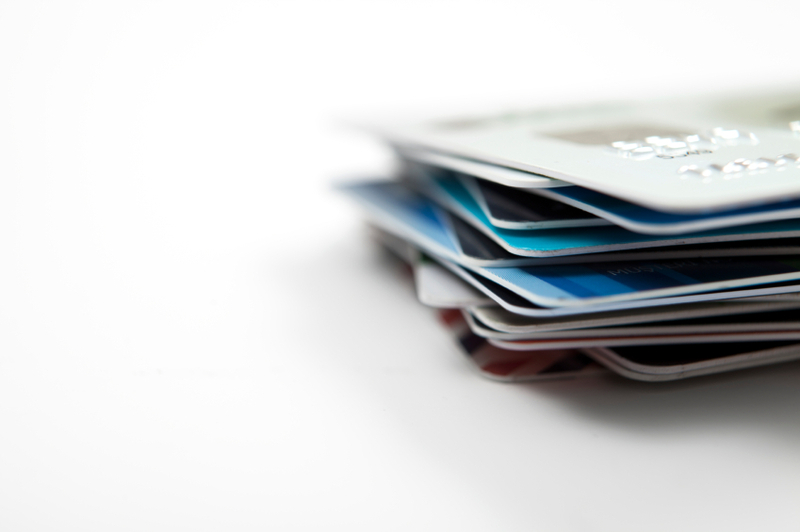 Treat your credit cards, account or personal information like cash & you may head off potential misuse. You wouldn’t leave cash around for a stranger to use as they please, so acting like your cards are “cash” will help you be more vigilant in protecting what is already yours. Theft is the most obvious form of credit card fraud can happen in a variety of ways, from low tech dumpster diving to high tech hacking. A thief might go through your trash to find discarded bills or statements & use this information to purchase things. A retail business might get hacked, & your card number could be stolen & shared. Perhaps a dishonest clerk or waiter takes a photo of your credit card & uses your account to buy stuff or create a brand new account. Take 5 minutes of your time daily, weekly or even monthly, & think about how you can protect yourself from credit card fraud & identity theft. Incorporating a few simple practices into your routine can help keep everything safe & secure. Review your bank accounts & credit card accounts regularly. Report any suspicious activity. Never give your personal information to people that you don’t know & trust. Never use public Wi-Fi to conduct financial transactions or share personal information. Doing this on these Wi-Fi hot spots is like asking a thief to rob you. Complete these transactions using a secure Wi-Fi system. Don’t be taken in by E-mail phishing scams asking for your personal or financial information. Just because you see a familiar, official looking logo doesn’t mean it is official business. Financial institutions & most reputable businesses would never contact you in this manner. Know who you are dealing with before providing personal information to mail order, telephone, or internet merchants. Keep your passwords secure. Along with keeping them secure, it is also a good idea to avoid weak passwords. Using your pet’s name or street address is easy pickings to hackers. Passwords that combine numbers, letters and symbols are almost impossible to hack. Shred all your important documents, especially any containing personal information before discarding. Taking 5 can avoid 5 hours, days, weeks or months of headaches to right the wrongs credit card or identity theft can cause. Being vigilant in protecting yourself is the best way to avoid fraud & identity theft. Only you know how you use your credit or debit cards, so only you can determine if something is not right when reviewing your account statement. Think “Take 5” & relax knowing you are helping protect yourself. Oh…..one last tip. You’re young, you’re healthy. You don’t need life insurance just yet, right? WRONG! You are not made of money, so adding another monthly bill may not be ideal. However, would you trade a weekly cup of fancy coffee, maybe a snack at the movies, or monthly dinner at a nice restaurant to afford protection for your family? For less than $1 per day, you can buy peace-of-mind protection for your loved ones. If something were to happen to you today, would your loved ones be left with a financial burden to cover your debts (loan, credit cards, etc.)? Who will pay for your final expenses (funeral/burial)? If you have people depending on your salary, would they be able to maintain their same lifestyle without you? If you think about it, life insurance is not about you, it’s about taking care of the people who love you. “Life insurance is expensive” …Life insurance is not as expensive as the myth surrounding it. If you buy a policy when you are young and healthy, you are likely to have the lowest premiums possible. Age and health affect premium rates, so the younger and healthier you are, the less expensive your life insurance will be. “I don’t need life insurance”…. You’re right; you don’t need life insurance. But, life insurance is not about you, it’s about the people you leave behind; the people who loved you and rely on your existence in the world. If something does happen to you, do you feel confident that you have done everything possible to take care of those you’ll leave behind? “There aren’t any policies that work for me”…. You have options when it comes to life insurance. You can get a policy for the next 10 years, or to last your entire life and build cash value. You can get a policy you can change as your needs change. “I’m too young to get life insurance”…. No such thing! It’s never too early for life insurance. In fact, it’s a lot smarter, more economical and more responsible to get a policy now, while premium and needs are likely lower, than to wait until you’re older and have more at stake and less in your favor. “I have life insurance through my job”…. Yes, some employers offer group life insurance to their employees. These policies usually end when your employment ends and typically are not enough coverage to ease future financial burdens for your family. Let’s do the math. Your $100,000 life insurance policy you have will allow your family to maintain their current lifestyle (including your final expenses, continuing to pay the mortgage, and trying to save for the kid’s college fund) for two, maybe three years, if you earn $40,000 - $50,000 per year. It’s great you have some life insurance, but seriously, what happens after year #3? Let our agents at Lake Central Insurance Services dispel the myths & guide you towards financial protection for what matters most….family! Who handles your life….You Do! With the college season upon us, what better time to look at the benefits of a 529 college savings plan. A 529 is a tax-advantaged way to save for key higher-education expenses, such as tuition, room and board, and required books and supplies. You won’t pay federal taxes or, in almost every case, state taxes on withdrawals if they’re used for qualified expenses. You can use the assets to pay for qualified expenses at community colleges, undergraduate and graduate schools and trade schools around the country, or for technical and professional training. You can open an account for as little as $50 using an automatic monthly investment plan, or with a $250 start-up contribution. A 529 account stays in your name and you control the timing and amount of withdrawals. Change the account beneficiary as often as you like without worrying about taxes or penalties, as long as the new beneficiary and the former beneficiary are in the same family. Lake Central Investments is a Cetera Investment Services program. Securities and insurance offered through Cetera Investment Services LLC, member FINRA/SIPC. Investments are not: FDIC Insured-Not a Deposit-Not Insured by any Federal Government Agency-May Lose Value–Not Financial Institution Guaranteed. Becky had seen the post on ASB’s Facebook page a few months ago encouraging customers to sign up for e-Statements and receive a 12-pack of soda, but never got around to it. E-Statements are secure, efficient, environmentally friendly, easy and fast, as Becky soon found out. Stop in anytime, no appointment necessary. Our customer service reps will get you well on your way with soda and a smile! You can also sign up for e-Statements online. After logging into your online banking, go to “Delivery Options” at the bottom left of the page. Select which accounts you would like to eliminate paper statements, then read and agree to the terms and condictions. Click the Submit button and you are finished. Click on the Statements option to view your statement. Voilà! 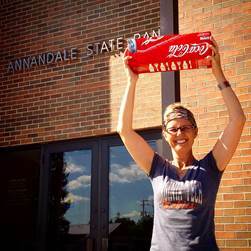 Just do NOT forget to come in and grab your 12-pack of soda as a thank you from us at ASB! You have an estate plan in place, right now. Even if you haven’t taken the important first step of having a will drafted, you already have an estate plan, because every state has a property management plan that takes over when someone dies without a will. It’s called the law of intestacy. Most people find the state-provided estate plan to be unsatisfactory, and they prefer to exercise a measure of control over the final disposition of their property. Wills and trusts are the means to this end. You should be familiar with the broad outlines of your estate planning documents, or, with the law of intestacy, if you don’t have any. What would happen to your assets if you died today? Provide an adequate income for your surviving spouse? Meet the education needs of children or grandchildren? Support your favored charities and meet philanthropic goals? These are just a few of the possible goals that you may have for your wealth. If you are not confident of your answers, you’ll want to schedule an early meeting with an attorney who specialtizes in estate planning. Assets owned jointly with right of survivorship. Assets with a named beneficiary. Consult your attouney, accountant or tax advisor for information specific to your needs. Neither the broker-dealer, nor any of its representatives may give legal or tax advice. Let’s be honest, your life is busy. From getting the kids out of bed and ready for school, rushing to work, attending athletic events and social gatherings, to making dinner and getting those same kids back into bed, it is wall-to-wall coverage for you. The last thing you want to do during a hectic day is spend time in line at the bank. That’s why we offer free online banking to all our customers so that you can conduct your banking securely and easily from the comfort of your home, office or mobile device. You can monitor all of your transactions, check your balance anytime and even set up alerts to keep you informed of your account activity. Along with 24-hour access to your checking and savings accounts, you can enroll in paperless e-Statements and received a 12-pack of soda for doing so. Another benefit is your ability to pay bills electronically. Just log into your account and select “Bill Payment” in the left hand column to enroll. You can now avoid the hassle of paper bills, worrying about checks being lost in the mail and now save a trip to the post office. You can pay anyone, just as you would via a check, without paying for postage! Feel free to contact us anytime if you have questions or need additional information in order to have a smooth, successful online banking experience. Technology: Get on board…or get out of the way! Have you seen the TV commercial where the two boys are having a snowball fight? One of the snowballs lands on the ground and continues to roll downhill, growing in size. Soon it is larger than a house. You can’t stop it. You can only hope it crashes into something to slow it down. I know you are picturing the image in your mind. That is how new technology can feel, sometimes. If not embraced, it may run you over. With the continuing changes in technology (47 changes are probably happening while you are reading this blog) it is challenging to keep up, let alone, understand how the now “outdated” stuff works. Yes, our little, three office agency has a smart-phone app for your iPhone or Android device. We can play with the “BIG BOYS” when it comes to technology. Our app gives you instant access to our agency staff via email and also links our office phone numbers without needing to dial. THE BEST NEWS OF ALL…IT IS FREE!!! Yes, we said free. Using it to document a claim and take photos of the accident scene. Store important information such as your policy information and use it as an ID card to show proof of insurance. You can store a list of your home inventory so you can access it in the event of a loss at your home. Utilizing the GPS locator, which helps locate your address when you dial 911. The GPS locator also aids you in finding a gas station, towing company or even a hotel in the event you break down and need to stay somewhere overnight. Of course, if you are our client, we encourage you to download the app and use it as a communication tool directly to our offices in Annandale, Clearwater or Maple Lake. You can send a message to one of the staff directly. To download the app, simply go to the App Store for your iPhone, or the Google Play Store for your Android device. 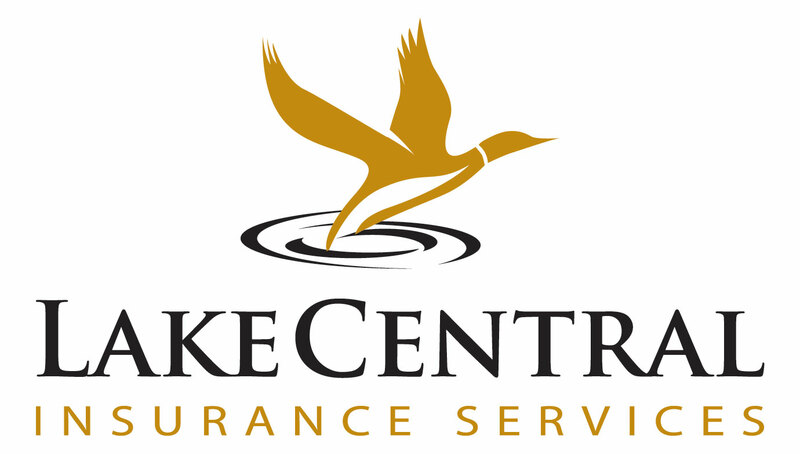 Search for Lake Central Insurance Services and install. Did we mention it’s free? 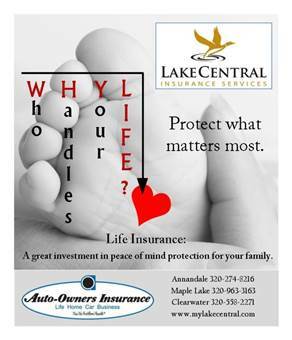 “Like” us on Facebook at https://www.facebook.com/LakeCentralInsuranceServices to get current information and offerings from our agency. You can also follow us on Twitter at https://twitter.com/LakeCentral1 to get real-time happenings around Lake Central. Now, for the quiz….what brand of car was being advertised in the snowball commercial? Don’t know, neither do we. But, we remember the giant snowball!!! Spring is finally here! This is the time of year when people start envisioning landscaping projects, consider an addition to their home or contemplate putting in that pool the kids have been asking for. With minimal closing costs, competitive interest rates and low payment options, a Home Equity Line of Credit (HELOC ) is a good fit for many people to get these goals accomplished. Our HELOC’s are revolving lines of credit with interest only payments required. Anything that you pay towards principal is available to use again. And, in most cases, the interest you pay may be deductible. The funds can be used for virtually any purpose; home improvements, a new car or even a Caribbean cruise! Now that home values are finally on the rise, our HELOC’s are a great way to utilize the equity in your home to make it the place you’ve always dreamed of. Contact one of our knowledgeable lenders at Annandale State Bank today to see if we can help make those dreams come true. 1. Cash out of the account. Cashing out of a 401k can be advantageous, but the drawbacks are too many for most people to handle comfortably. On the one hand, you gain immediate access to your cash. If an unexpected financial hardship arises you can use the money to get yourself out of that tight spot. The allure is instant cash, a loan of sorts, usually made with an honest intent to “put it back.” Future tax-deferred earnings evaporate along with nearly one quarter of the wealth contained in the assets. Furthermore, with substantial withdrawals, contribution limits will constrict how quickly an account can be restored. Taxation and penalties on early withdrawals are steep. Taking cash out of a 401k takes away the tax-deferred status of those funds, so your income taxes could jump dramatically, especially if you enter a higher tax bracket. Expect your employer to withhold 20% of your 401k funds for tax payment purposes. On top of the taxes, a 10% early withdrawal penalty applies if you take delivery of the money before the age of 59 ½. In most circumstances cashing out is a trap akin to payday loans. It provides a short-term fix at the expense of considerable wealth and potential for future growth. This makes the cash-out option the least attractive of the four available options. 2. Leave your money in your previous employer’s retirement plan. By leaving your 401k in your previous employer’s care, your funds retain a tax-advantaged status and growth. Most employers require that you have at least $5,000 in the account when you leave the company in order for you to keep it there, and you won’t be able to contribute to the account after you leave the company. 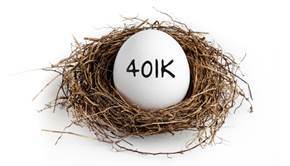 If the 401k was started with a large employer, it may be to your benefit to leave it there after your employment ends. Why? Some large companies give their employees access to low-cost institutional investments that aren’t available to individual investors. If you decide to leave your old 401k with your previous employer, however, make sure you don’t forget about your money. The average person holds at least 10 jobs between the ages of 18 to 44, so take care to not let your hard-earned money get lost as you change jobs over the years. Fees are another factor that must be taken into consideration when figuring out your 401k plans. Employer-sponsored plans are notorious for hidden administrative and service fees that can reduce the account balance by up to 25% over the years. If your previous employer is charging you 1% or more annually in fees, seriously consider moving the money away. 3. Transfer your 401k away from your old employer and into your new employer’s plan. Some employers will allow new employees to transfer funds from old 401ks into the new company’s plan. You will need to study the fee structures and plan offerings of both companies before deciding to combine your old 401k plans with a new plan, but if the new company allows account combinations you could save thousands per year in administrative fees. 4. Execute a 401k Rollover by placing your funds into a self-directed IRA. Control…by rolling the money into a traditional IRA, you will realize control over where those monies are invested and how. There is a litany of advantages to transferring an old 401k into a self-directed IRA. The account will retain its tax-advantaged status. The potential for the account to grow into a respectable nest-egg will be even greater since the fees for IRAs are usually less than those for 401k plans, and IRA custodians offer a wider array of investment vehicles from which you can choose. If you decide that turning an old 401k into an IRA is the best option for you, please contact us. We will be happy to provide the direction and guidance you need. The process is relatively simple and since 401k to IRA rollovers are so common most investors will not face any difficulties with the transfer. FDIC Insured IRA’s can be purchased through Annandale State Bank by talking with Roxann McNellis or at our ASB Clearwater branch by talking with Jeannie Schermer. 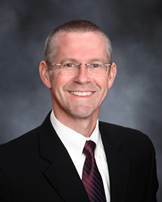 Non FDIC Insured IRA’s can be purchased through Lake Central Investments by talking with John Volden. The gambler in you says to roll the dice. The conservative money-manager in you knows how hard you’ve worked your entire life to build up your retirement funds, assets and family’s inheritance. Long-term care could be the highest stakes gamble you’ll ever make. Are you ready to play; the dice are in your hands. What is long-term care? The term refers to ongoing care to help you with day-to-day living activities. This could include needing help dressing, toileting, bathing and making meals. Care could be provided by family or friends, home-health aids, or skilled nursing services. Unless you or your family is able to put your life on hold while caring for an aging or disabled family member, you’ll need some outside help. If you’re like most people, you probably know someone who has needed long-term care services or acted as a caregiver. Maybe you’ve been the caregiver yourself. Either way, you may be wondering how you’ll handle your own long-term care needs. Will your family take care of you? Will you be able to stay in your home? How will the need for care impact your retirement nest egg? If you have already taken that important step towards planning for a secure future, CONGRATULATIONS! You are in the minority when it comes to being prepared by planning for added security in your retirement portfolio by owning a long-term care insurance (LTCi) policy. Statistics indicate that 1 out of 2 people will need some form of long-term care in their lifetime. That is a coin flip you could possibly lose! According to the Department of Health and Human Services, 70% of baby-boomers turning 65 this year alone will require care before they die. If you are not prepared for the financial impact that the cost of elder care will be, then now may be the time to learn more about long-term care insurance and how it may protect what you’ve worked your entire lifetime to achieve. Many people mistakenly believe government programs, like Medicare and Medicaid (medical assistance), will provide all the long-term care services they need. Unfortunately, this may not be the case. Failing to plan how you’ll pay for long-term care services may place you at serious financial risk. LTCi has evolved from solely offering coverage for people who are confined to a nursing home. The emphasis to keep people comfortable and in their home as long as possible has caused LTCi to add home health care and assisted living coverage. People live better lifestyles and remain healthier longer when they can stay in their own home; it just makes them happier and is a better situation. How does care work when you can stay in your home or if you end up in an assisted living arrangement or nursing home? Well, someone might have to stay with mom or dad during the day while a family member works their job to provide for their own family. Maybe you hire a neighbor to stop by each day to sit with them for a while to make sure they take the proper medication and at the right time of day. Think of it as adult day-care. You may need to hire a day-nurse or home healthcare provider to come in to give assistance for bathing or do some form of physical therapy. Lastly, a skilled nursing professional may need to be hired to administer more complex mediation or perform other medical procedures. It currently costs an average of $6,000 a month for a semi-private room in a nursing home and $3,000 a month for a one-bedroom unit in an assisted-living facility. Starting to get the picture? All of this care has a cost associated with it and can add up extremely fast, depending on the individual situation. The mindset is that long-term care is expensive, and that can be true. But, something is better than nothing, so purchase what your budget allows. Purchasing any form of long-term care insurance will help to cover care costs and avoid spending down your own money to pay for the care. If all you can afford is a $50 per day/$1500 per month benefit policy, then you just avoided spending that same amount out of your personal funds, therefore protecting that same monthly amount from any spend-down. Ask any financial advisor if spending $25,000-$30,000 in LTCi premiums over a 20-30 year period to protect your financial net worth, and they would tell you it is a sound investment. Minnesota now offers a state partnership program which allows you to protect your policy’s maximum lifetime benefit amount from a medical assistance spend-down. Plain and simple, you can protect assets equal to your lifetime maximum benefit and still qualify for medical assistance from the State of Minnesota. As you can see, long-term care coverage and what benefits you may need to cover in your unique situation can be complicated. Most consumers need to meet to discuss coverage and affordability with a certified LTCi insurance agent a minimum of 4 times in order to fully understand what it is they want or can afford. Lake Central Insurance Services agents are knowledgeable and certified long-term care insurance specialists. They can provide information and answer questions to give you the tools to make sound decisions on your unique needs. For more information, please click on the links below. The first step in the process is easy. Just contact Paul Manuel or Pete Edmonson and start to journey to financial security for your long-term care needs and protecting your lifetime’s hard work. Insurance and annuities offered through Lake Central Insurance Services are not:FDIC Insured Not a Deposit- Not Insured by any Federal Government Agency-May Lose Value-Not Financial Institution Guaranteed. The past 6 years have been a turbulent time for the American economy with few areas hit as hard as real estate. We witnessed our home values take a dramatic plunge from the overinflated values of the early 2000’s. 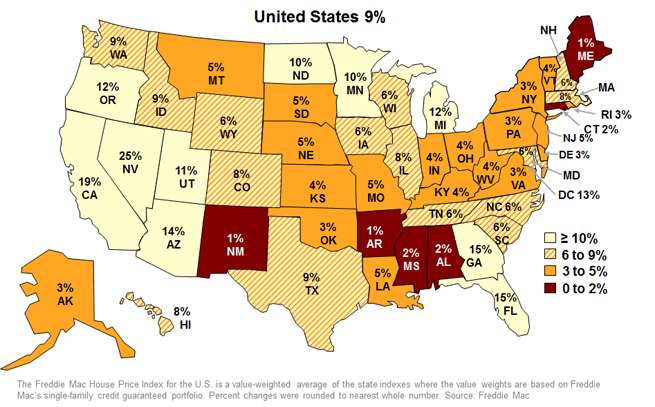 Everyone knows somebody who experienced foreclosure, and the national unemployment rate peaked at just under 10% in 2010. Although we have suffered many hardships, homeowners have been fortunate to see the lowest mortgage interest rates in over 50 years with the 30yr fixed rate dropping below 3.50% in 2012. We saw the first signs of renewed life in the economy last year with home prices increasing by 9% across the US as a whole. New construction and purchases of new homes increased by almost 30%, the foreclosure rates dropping significantly and the unemployment rate steadily declined throughout the year to below 7%. 2014 brings with it the optimism of increased economic growth. While interest rates have begun to slowly increase, they are still amazingly low, with the national average at approximately 4.375%. 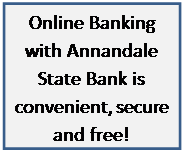 Annandale State Bank will continue to be your hometown mortgage specialists. 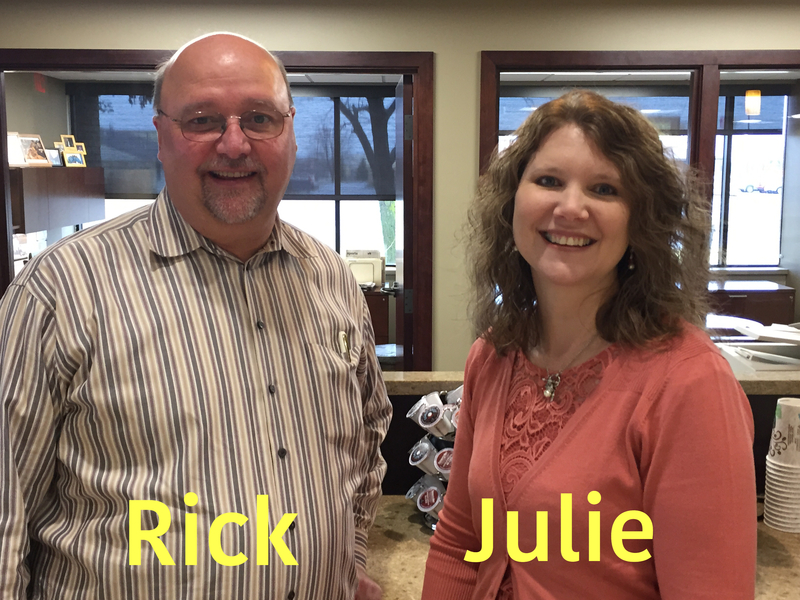 Stop in and speak with our lenders to see how we can assist you in financing your home improvement, refinance or home purchase. We have diverse, affordable and competitive mortgage products and are willing to lend. 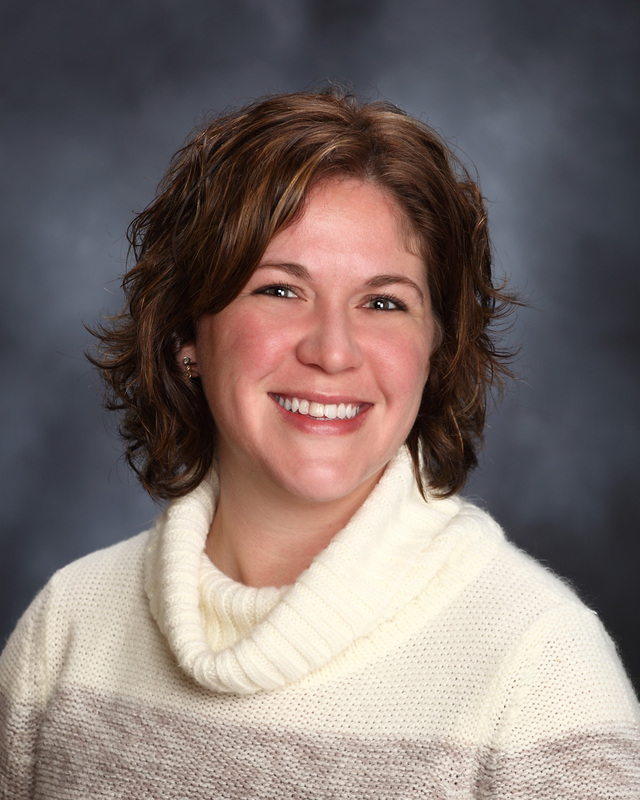 To take the first step towards home ownership or building your new home, contact Stacy Rasset at Annandale State Bank today! Roth IRA’s have been around since 1997, but many Americans don’t understand the full range of their benefits. Unlike traditional IRA’s, contributions to Roth IRAs are made in after-tax dollars. Many people choose Roths because they project that their tax rate will be higher when they’re ready to take distributions. But, the benefits don’t end there. Roth IRAs don’t require you to take withdrawls while you are alive. And, that makes them a useful vehicle to pass assets to the next generation tax-free. What’s more, tax-free distributions can be taken before age 59½ providing savers a way to suplement income and perhaps even retire early. IRAs often offer more investment options than the typical employer-sponsored retirement plan. The longer your account has the potential to grow, the more you could stand to save on taxes when it comes time to make withdrawals in retirement. Remember, the big difference between a traditional IRA and a Roth IRA is when your investments get taxed: With Traditional IRAs, you pay taxes when money is withdrawn; contributions to Roth IRAs are made with money that has already been taxed. It’s very easy to set up and contribute to an IRA. You can start an IRA with as little as $25 a month, and it can be linked to your checking account so you can make contributions automatically. Did you know ASB has an AED? The term “AED” has become more and more common in our society; yet, many people are unaware of its life saving benefits. An AED (Automated External Defibrillator) is a portable electronic device that automatically diagnoses the life threatening cardiac arrhythmias of ventricular fibrillation and ventricular tachycardia in a patient, and is able to treat them through defibrillation, the application of electrical therapy which stops the arrhythmia, allowing the heart to reestablish an effective rhythm. With simple audio and visual commands, AEDs are designed to be simple to use for the layperson, and the use of AEDs is taught in many first aid, first responder, and basic life support (BLS) level cardiopulmonary resuscitation (CPR) classes. 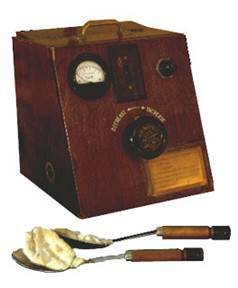 The first documented use of an AED was in 1947. Today, there are over 350 AEDs registered in Wright County alone – one being located in the lobby of Annandale State Bank. 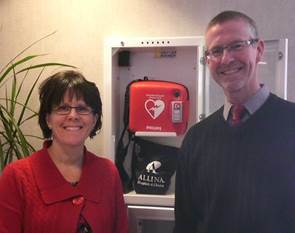 John Volden, Lake Central Investment’s manager won the AED at an Allina event and donated it to the Bank. A “shocking” statistic is that for each minute defibrillation is delayed, a victim’s chance of survival is reduced by approximately 10%. And, if you ever have to operate an AED, an important fact to know is that the AED will not shock someone who does not need it. ASB has registered its AED which allows 911 dispatchers the ability to direct first responders to the closest available AED. With February being heart health month, see how many defibrillators you can locate in your community. What are you waiting for? 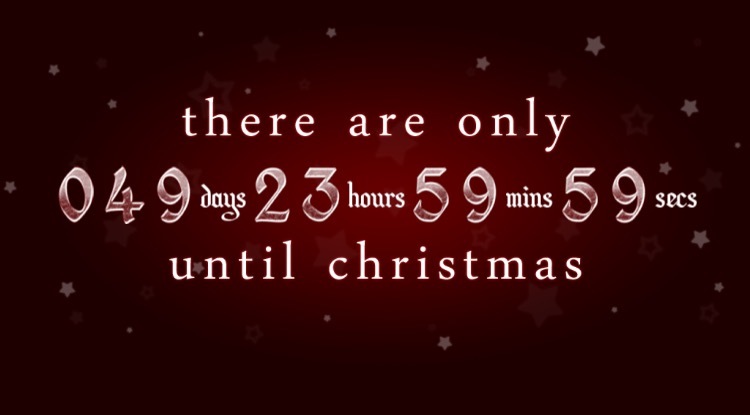 With only 330 days until Christmas, now is the time to open your Christmas Club account and make this year’s holiday shopping season your best ever! Stay Informed with our ASB Online Banking Alert Feature. Spring into the Home Improvement Season. Do you know the difference between a debit card and an ATM card? 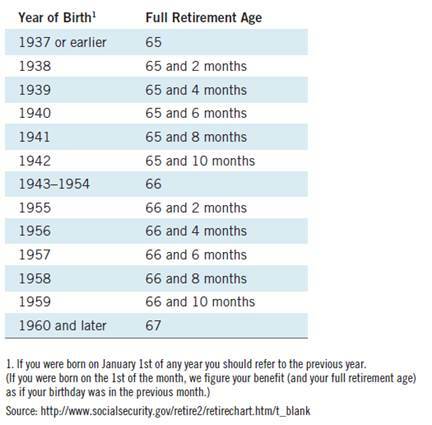 Social Security- Questions and Answers. Technology: Get on board...or get out of the way!